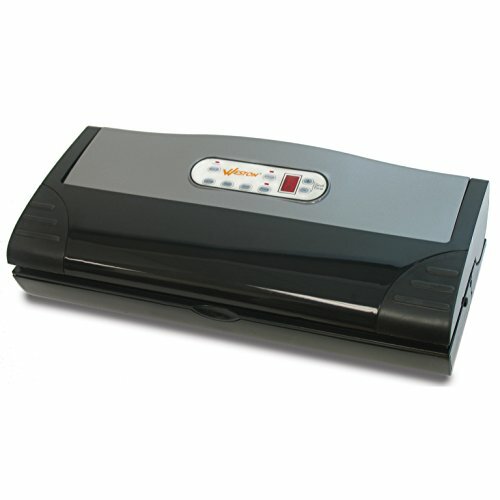 Weston Products Harvest Guard Portable Vacuum Sealer Features:- Up to 50 consecutive seals with 110 watt (120 volt, 60 Hz). motor - Adjustable seal time- Digital display to monitor sealing progress- Rear mounted handle for easy transport- Pulse mode for sealing moist or delicate foods- Accessory mode to prevent excessive wear- Includes 12V adapter for cars, truck and boats- Seal only mode for creating bags from rolls- Single piston pump draws up to 22.5". HG vacuum strength- 2mm thick seal bar and accepts bags up to 11". wide.